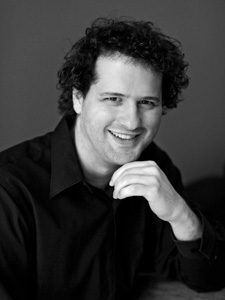 Edward Ananian-Cooper is an Australian conductor with a double Masters from the Sibelius Academy in Helsinki in Orchestra and Choral conducting. He studied with Leif Segerstam, Atso Almila, Markus Lehtinen and Matti Hyökki, and spent a semester at the Zürich University of the Arts with professor Johannes Schlaefli. He has recently worked with Oulu Symphony Orchestra, Wegelius Strings, the Finnish Baroque Orchestra STORIA, and the NYKY contemporary music ensemble and has also performed with the Südwestdeutsche Philharmonie (Germany), Jyväskylä Sinfonia (Finland), Janáček Philharmonic Orchestra (Czech Republic), Plzen Opera (Czech Republic) and the Ruse Philharmonic (Bulgaria). Further masterclasses have been with Sir Roger Norrington, Herbert Blomstedt, Oliver Knussen, Hannu Lintu, Osmo Vänskä and Christopher Seaman with various orchestras including the Finnish Radio Symphony Orchestra, and Pori Sinfonietta (Finland), Auckland Philharmonia (New Zealand) and the Tasmanian Symphony Orchestra (Australia). 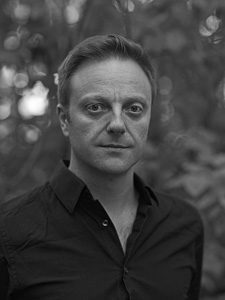 Ananian-Cooper is in demand as an opera and oratorio conductor and recent performances include Kalevi Aho’s Frida y Diego (premiere), Paolo Rosato’s Lars Cleen (premiere), Monteverdi’s Orfeo, Monteverdi’s Ulisses, Händel’s Theodora, Mozart’s Magic Flute, Mascagni’s Cavalleria Rusticana and he recently debuted in Berlin with a performance of Purcell’s Dido & Aeneas. Edward has also directed Händel’s Messiah, Haydn’s Nelson Mass and Faltin’s rarely performed Conferment Cantata. Edward sings with the Arnold Schoenberg Choir in Vienna, the Helsinki Chamber Choir and the English Vocal Consort of Helsinki. He is currently the artistic director and conductor of Jubilate chamber choir. Kirsi Marttinen is a communications and administration professional, and a lifelong music aficionado. Marttinen began the violin at the age of five, and in recent years has studied singing with Seppo Ruohonen. She sings in the Incanto Vocal Ensemble, and has taken part in stage productions and musicals, and has sung both in opera choruses as well some solo work. She has also privately studied choir conducting, and is currently the vice-conductor of the Metsoforte student choir. Marttinen has worked for the Kangasniemi music festival, and as secretary general of the Sibelius Academy student union. She works currently as secretary general of a political women’s organisation. Meri Metsomäki is a versatile soprano from Helsinki. 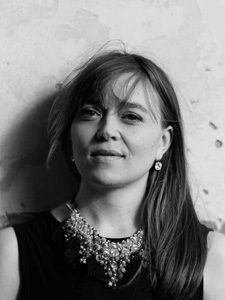 She completed her education in classical voice at the Helsinki Metropolia University of Applied Sciences and graduated both in early music and in vocal pedagogy under the guidance of Ritva Eerola and Tuuli Lindeberg. Further masterclasses with Evelyn Tubb and María Cristina Kiehr have given her some inspiring insights into baroque style. Metsomäki has performed in many festivals in Finland and has held several recitals in Italy. 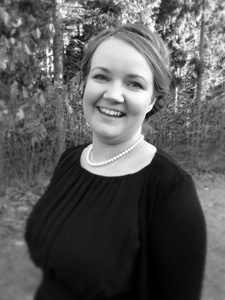 She is a member of the Helsinki Chamber Choir and other professional choirs and has wide experience as a soloist in various cantatas, masses and passions. Her opera roles include Belinda in Purcell’s Dido & Aeneas, Drusilla in Monteverdi’s Coronation of Poppaea, Minerva in Monteverdi’s Il Ritorno d’Ulisse in patria, La Musica in Monteverdi’s L’Orfeo, Papagena in Mozart’s Die Zauberflöte and Amor in Rameau’s Anacréon. At the moment Metsomäki loves the energetic role of producer. Her recent productions of Monteverdi’s operas thrilled audiences and critics alike. Metsomäki is also an active pedagogue and a certified teacher of Balance in Phonation ™ Voice Training. British countertenor David Hackston began his musical studies in Bradford-on-Avon, England. Today he lives and works in Helsinki, Finland, where he has studied early music, Baroque singing and performance practice at Helsinki Metropolia University as a student of soprano Tuuli Lindeberg and countertenor Teppo Lampela. During 2014–15 he undertook a year of study at the Escola Superior de Música, Artes e Espectáculo (ESMAE) in Porto, Portugal, under the guidance of Prof. Magna Ferreira. David is a core member of the Helsinki Chamber Choir, and in 2010 he founded The English Vocal Consort of Helsinki, an ensemble that focuses on the rich vocal tradition of the English Renaissance and Romantic eras. Notable recent oratorio performances include collaborations with Helsinki Baroque Orchestra (Handel: Messiah), the Finnish Baroque Orchestra (Bach:St John Passion) and Ensemble Nylandia (Falvetti: Il Diluvio Universale). In February 2016 he performed the role of Didymus in Handel’s dramatic oratorio Theodora. The 2017 season will feature performances of Dido and Aeneasand the role of Ottone in Monteverdi’s L’incoronazione di Poppea. Together with lutenist Mikko Ikäheimo, David has presented recital programmes exploring the music of John Dowland and his contemporaries, the French air de cour repertoire, and the vihuela songs of the Spanish early Renaissance. David has a particular interest in 16th century Portuguese polyphony and has produced modern editions of several anonymous manuscripts. David is an avid performer of contemporary music, and with the Helsinki Chamber Choir he has performed numerous 20th century choral classics including works by Olivier Messiaen, Iannis Xenakis, Beat Furrer, Jonathan Harvey, Vassos Nicolaou, et al. In recent years David has championed the countertenor role in Kaija Saariaho’s Écho! for ensemble and electronics, and in 2013 he created the role of Satan in the première performance of Timothy Page’s Between Hell and Earth, a role requiring a vocal range of three octaves. In June 2014 he gave performances of Peter Maxwell Davies’s iconic Eight Songs for a Mad King in Helsinki and Hannover.